Toast. Pretty much universally adored and missed most by low carb aficionados (though they would completely deny it!!). The fact is bread is perfectly fine as part of a balanced diet. But I have only one rule. Please get yourself a decent loaf of real bread! That is, bread that doesn’t have a ‘best before’ date or more than 3-4 main ingredients (unless you are buying gluten-free). My top recommendation is a good quality sourdough. Sourdough is more digestible and nutritious than industrial loaves thanks to naturally occurring acids that ferment the dough to bread down phytates (which impair nutrient absorption) and gluten (which may cause intolerances, though not to be confused with celiac disease). This fermentation process makes nutrients more available for absorption, and renders simple sugars less available, which may help to control blood sugar, particularly for people with diabetes. This is not so much a strict recipe as it is a source of ideas for making a slice of toast into a nutritious, energy sustaining, mid-afternoon or evening snack. My advice is to stay away from overly processed shop bought spreads and try to make your own, or purchase whole, nut or seed spreads with no added sugars or oils. Real Irish butter, goats butter, olive oil or even coconut oil are also perfectly fine options if you’re not a fan of nut and seed spreads. Bread: 1 slice per person (I used a small loaf of german-style rye sourdough bread). Nut Butters* (1 tbsp per person): choose from Meridian Almond butter, Meridian Peanut Butter and Coconut Butter. Fruits: choose banana and avocado (3-4 slices per person), or blueberries (2 tbsp per person). Nuts, Seeds & Sprinkles (1/3 tbsp) per person: 85% cacao dark chocolate (grated), black sesame seeds, coconut flake, ground cinnamon. Simple! Lay out small bowls and jars of your favourite toppings. Toast the bread and get creative! To make your own coconut butter: dump 250g unsweetened desiccated coconut into a high-speed food processor and pulse for 8-10 minutes until smooth and runny. Decant into an airtight jar and store at room temperature. Note: coconut butter tends to harden even in the warmest cupboards. To soften, submerge the jar in warm water for 10 minutes before use. To make other nut butters: you only need ONE ingredient to make any nut butter! Nuts! If you roast them in the oven for about 15 minutes at 150C (350F) you will get a lovely creamy texture as roasting helps to release the natural oils in nuts. My favourites are walnuts, hazelnuts or almonds. Macadamias are also great but quite pricey! Cool the nuts slightly before tossing into a food processor and blending for about 8-10 minutes until smooth and creamy. Store in an airtight jar. We are delighted to be back with you, sharing our very own healthy and tasty recipes. 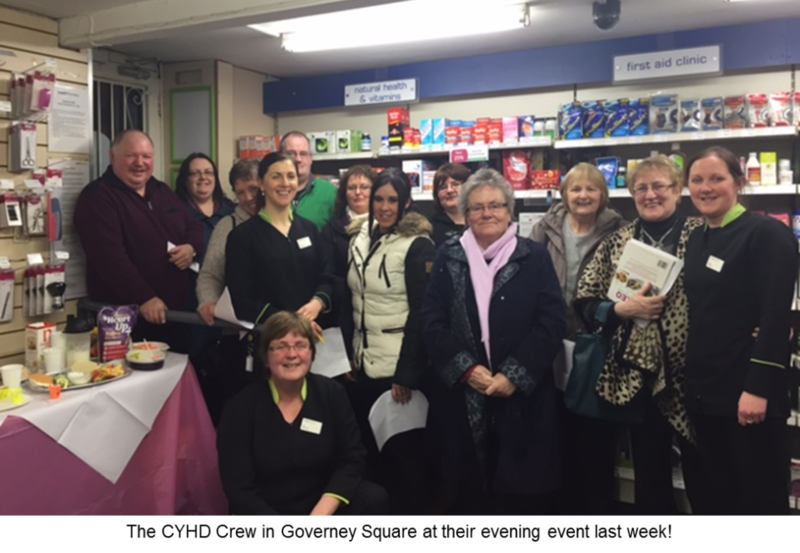 LloydsPharmacy employees are busy helping hundreds of our customers to lose weight with our free Change your Health Direction programme. And we’re having great fun coming up with new recipes that are suitable for anyone trying to lose weight. All of our colleague recipes are available at any LloydsPharmacy branch. Or check back through our blog for all of our recipe posts. This week, we’re talking about snacks! Snacking is so important but can be difficult to get used to. It seems wrong to eat all the time when you’re trying to lose weight. But it’s important you eat every three hours to prevent becoming too hungry and to keep your energy levels balanced all day. Because what happens when you’re really hungry? You usually go for something sugary, right? So, we’ve shared some amazing healthy snack ideas that have come from our own colleagues. Each is only 150-200 calories and is balanced with carbs and proteins. Let us know what you think! Best of luck to everyone still sticking with the resolutions! Chia seed, flaxseed or mixed seeds can also be added; just substitute a half cup of oats with half a cup of any of them. Chop the bananas and put the grated carrot and maple syrup into a food processor together, mix until almost liquid. Put the mixed fruit and oats into a bowl and add the wet ingredients, mix thoroughly. Line a baking dish with parchment paper and pack the ingredients in really tightly. Smooth it all out and place in the oven for up to 30 minutes. The top should feel slightly hard coming out. Take it out of the dish after a few minutes and cool on a wire rack. Cut them into small squares (about 20) and store in an airtight container in the fridge. I have always eaten these within 6 days so can only guarantee freshness for 6 days. Biscuits for breakfast?! Why not! These quick and easy bickies make a super grab-and-go breakfast or a filling afternoon snack with a cuppa. The addition of hemp seeds provides protein to ensure that blood sugars remain stable. Another great recipe from Avril Reilly, pharmacist and weight-loss coach in LloydsPharmacy, Governey Square, Carlow. Mash the banana very well with a fork. Place the dry ingredients into a bowl and add the mashed banana. Mix very well. Use approximately one tablespoon of mixture per biscuit and place on a baking tray lined with parchment paper. Bake in a pre-heated oven at 180 degrees for approximately 10-15 minutes until golden brown. We just love this idea from Nicky Roche, manager and weight loss coach in LloydsPharmacy Kilkenny. Healthy, portable little egg muffins that you can enjoy without worry at just under 100 calories each. They are great for breakfast, snacks, light dinner, or school lunches. They are soft, chewy and dense. The vegetables add texture and fibre so you feel fuller longer. You can make them in advance and keep for up to a week in the fridge. And try them with different vegetables for variety – a great way to get kids to eat their greens! Preheat oven to 190 Celsius. To avoid having to use oil to grease the muffin tray, use a silicon tray. In a large bowl combine the carrots, peas, corn and peppers. You can use any of your favourite veggies, and instead of the carrots you could grate left over potatoes or sweet potatoes. Loosely pile the veggie mix into each muffin cavity to about ¾ full. In a measuring jug lightly beat your eggs and salt and pepper with a fork. Pour the egg into each cavity, to cover the veggie mix to just below the rim. Top each muffin with a teaspoon of grated cheese. Bake in the oven for about 18 – 20 minutes, or until muffins have set. They will rise when in the oven, but will sink back down as they cool. Leave in the tray while cooling on a wire rack. Muffins will keep in an airtight container in the fridge for up to a week. Sometimes you just need something sweet! These muffins can be a treat, a snack or perhaps breakfast. They come in at just under 200 calories each and taste like way more. This recipe comes from our Health Strategy Manager, Naomi O’Farrell. Bake for 20-22 minutes until a cocktail stick comes out clean. Snacking can be tricky. You should eat every 3 hours or so; if you don’t and wait until you’re hungry, you’re more likely to choose something bad! Having healthy snacks to hand ensure you avoid eating the wrong things and keep your energy levels steady all day. Nua Naturals is a great range of products available at LloydsPharmacy. This recipe comes from Avril Reilly, pharmacist and weight-loss coach in LloydsPharmacy, Governey Square, Carlow. One of these is a perfect snack and the rest will keep for a week once stored in an airtight container in the refrigerator. Mix the pumpkin or sesame seeds, goji berries and raisins using a food processor. Remove and transfer to a mixing bowl. Process the dates separately, until they form a sticky mass and then add to the mixing bowl. Add the hemp seeds and milled chia seeds and mix everything together really well. The easiest way to get a good mix is to use your hands! Add a little agave nectar to bring the mixture together, if needed. Roll the mixture into small balls or press into a lined baking tray and cut into bars once set fully (leave in the refrigerator for a few hours before cutting). Avril Reilly, Pharmacist in our Governey Square branch, is back this week with an update on how the Change Your Health Direction (CYHD) programme has been progressing in Carlow. The team held an evening event for all their CYHD participants last week – they’d a great turn out in spite of some awful weather. 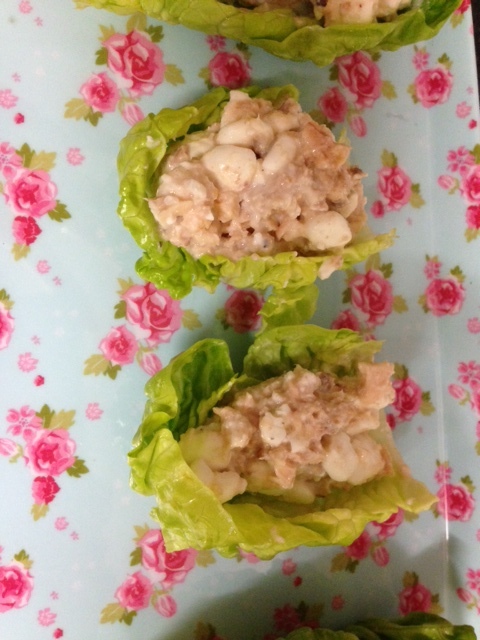 And this week, Avril also shares another fantastic recipe – we’re hungry just thinking about it!! ‘It’s been another great week here with CYHD! As mentioned last week, we held an event in our store for our participants. The evening was all about healthy and simple snacking, aiming to help add diversity to our customers’ diets. On reviewing our customers’ CYHD Diaries, it was obvious that many of them were struggling to have their two snacks during the day and many of them were relying on eating fruit and nuts only. This is a common problem; snacking in between larger meals is something a lot of us aren’t used to, right? But it’s all about keeping your blood glucose levels even throughout the day, helping to maintain a healthy metabolism and manage your food cravings. But it’s important to snack on the right foods at the right times. 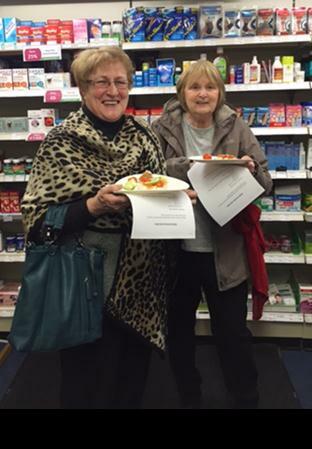 For our customer event in Governey Square, we provided a range of tasty snacks for our participants to try. Many of them said that it was a great idea as they were reluctant to buy foods that they had never tasted before in case they didn’t like them! I was really pleasantly surprised to see everybody sampling all that was available & really enjoying it! We also did tastings of the Heart-Up and Shake-Up, which I’m a massive fan of and from which our customers have been getting great results. The Heart-Up is really nice in Greek-style natural yoghurt – you have to try it! Once again, WOW!! What we loved about this event was the sharing of ideas and stories, and the support and motivation that comes with knowing you’re not doing this alone. We’re so proud of the whole CYHD crew in Carlow, the participants and our pharmacy colleagues giving such great support. One of Avril’s snack recipes was a particular hit at last week’s event so she’s kindly agreed to share it with the rest of us! !